Former Minister Finance Minister Felix Mutati says media gossip and finger pointing does not turn the wheels of the country’s economy. Mr. Mutati challenged the youth to reduce spending their time on social media but instead channel their energies on studies. Addressing the youth at St Mathias Mulumba Catholic Church in Lusaka’s Bauleni compound after a Sunday service, Mr. Mutati said quality education was the only equalizer in society, hence the need for young people to focus on studies than social media. “You will evaporate into nothing less if you become allergic to education. Reduce on social media conversation and gossip because it does not contribute to the growth of the nation,” Mr. Mutati said. Mr. Mutati urged the youth to focus on acquiring an education and stop wasting their time chatting on social media. “Story telling will not turn Zambia’s economy so focus on studies than social media conversations,” he said. “If you put pleasure first and drink the whole night, you wake up in the morning and drink water as if you are going for baptism, there are no priests to baptize you so you can only baptize yourself by repenting from your drinking habits,” Mr Mutati added. Meanwhile, Mr. Mutati made a contribution of K20,000 towards the completion of a youth training facility which will include a kitchen and ICT center for disciples of Don Bosco youth ministry of ST Mathias Mulumba in Lusaka. He has also pledged computers for the purpose of training youths in Information Communication and Technology (ICT). Speaking on behalf the youth, Alex Mutale said the youth at the church were committed toward making meaningful contribution to community. “We have a number of projects going on including a piggery which is already operational as well as a computer lab which we are slowly building, so your gesture will make a difference to us as youths,” he said. Zambia to Rebase the Economy: What does “REBASING the Economy” Mean? 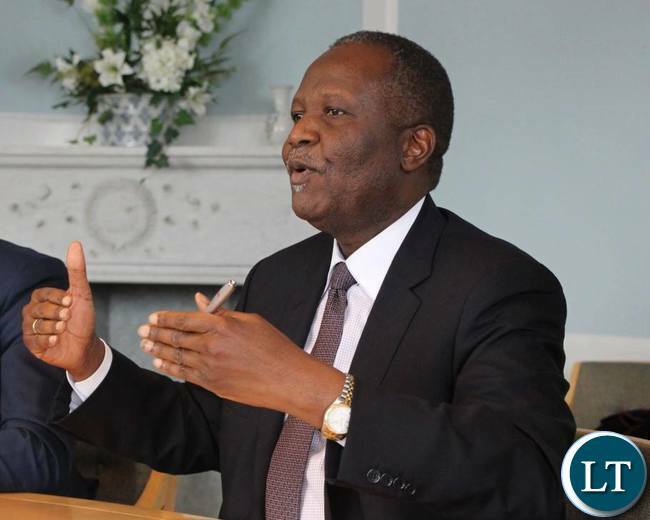 Who is telling the truth about IMF leaving Zambia? For the record, Lungu does not drink water when he wakes up. He simply carries on drinking beer. That’s what I always tell you. Don’t follow our way; we went to school, got jobs, went back to school, travelled. Now we are tired, that’s why we are here playing instead of drinking and smashing company cars. This website should be for 30 years and above, not you kids. GO To SCHOOL, stop HUSTLING!! Nope, irrelevant wanabe old soul. The site was, is and should continue to be for everyone with an opinion. But who says there is no money in story telling. People have made huge monies using story telling and writing books about stories. So what is this man talking about. Some people fail to think after a certain age. Very disappointing. These are the same people who did not invest in the youth when they were ministers. Now today ati finshi na finshi …. On point Felix. The youth have to know this. Every minute on social media , gossiping, complaining – and even starting revolutions!! Zambia’s economy will only turn around if we stop outsourcing everything and believe in ourselves.We’ve outsourced mines ,foreign supermarkets ,Zambia Airways ,debt bailout,cell phone companies even ballot printing is done in foreign lands. At least he is not donating money he stole from the treasury unlike some other ministers. I totally agree with Mutati. He should stop storytelling about the MMD presidency.